Reading is an art. Yes, especially when you have to read it intelligently. By intelligent reading, we mean backward, upward, encrypted texts etc. Here we are putting many of different reading challenges. 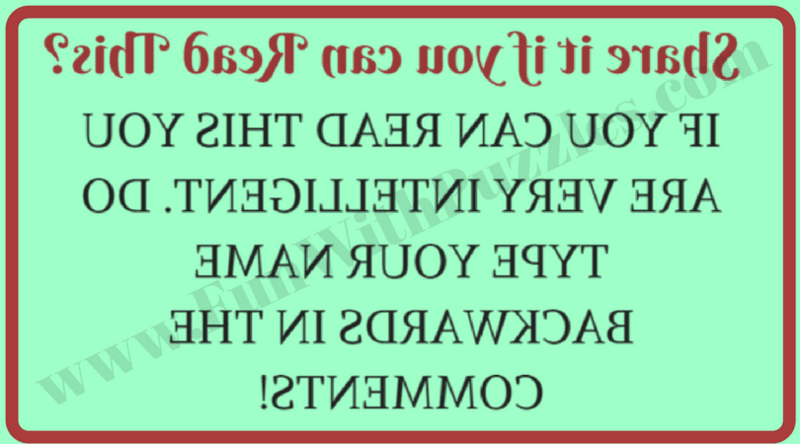 These challenges included reading encrypted text in which letters of the words are replaced with numbers, finding hidden number in the picture challenge, reading double vision quote, reading backward and reading upside down. At the end there is bonus brain teaser to find the mistake in the picture. 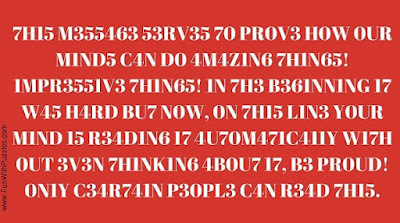 Lets see how many of these texts you can read? 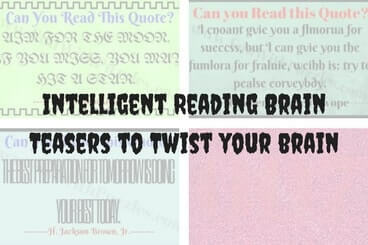 Answers of these Intelligent reading brain teasers are given at end. 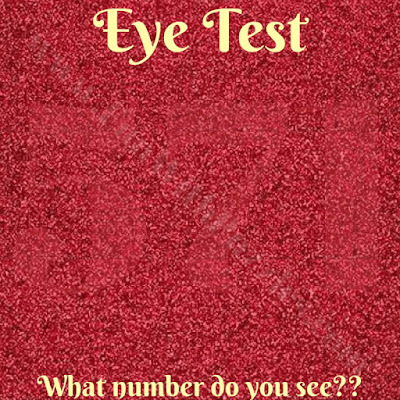 Next one is to test your eye sight. 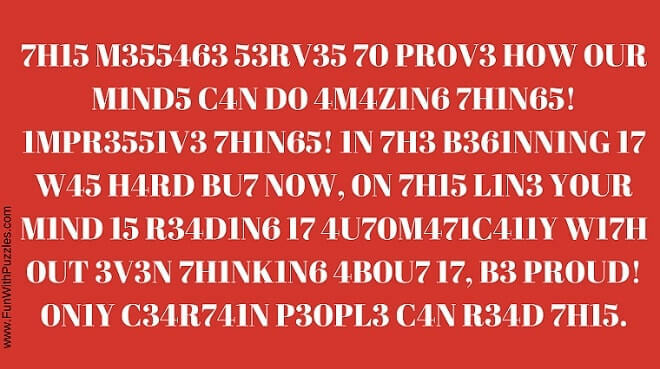 Can you find the hidden number in this picture? Next one is Double Vision Reading Quote. Double vision reading is very disruptive to reading. Here is the example how a text looks like in double vision reading. Next Reading Challenge will definitely going to twist your mind. 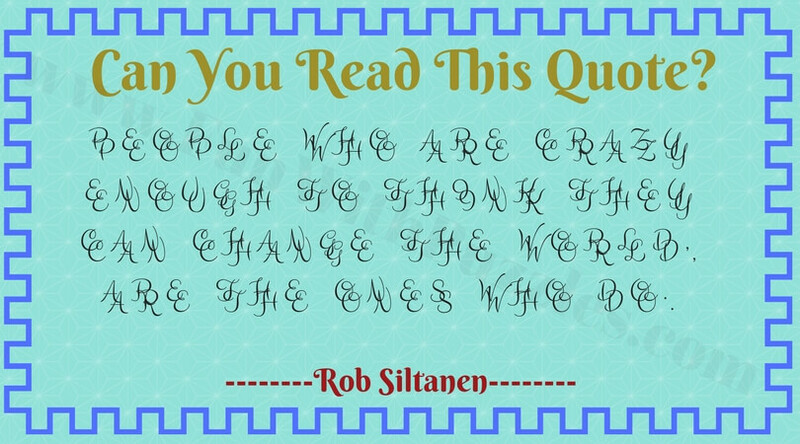 The Quote in the following Puzzle Image is written in pure English. 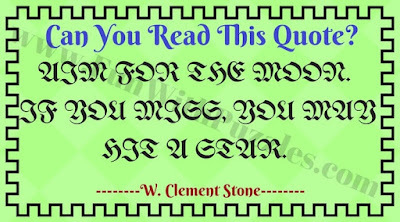 However selection of font is making reading the text of the quote quite difficult. 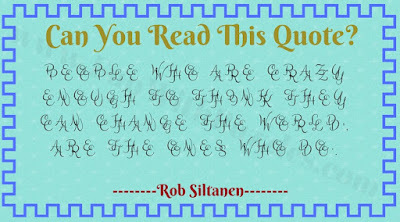 Can you take this mind reading challenge and read this quote? 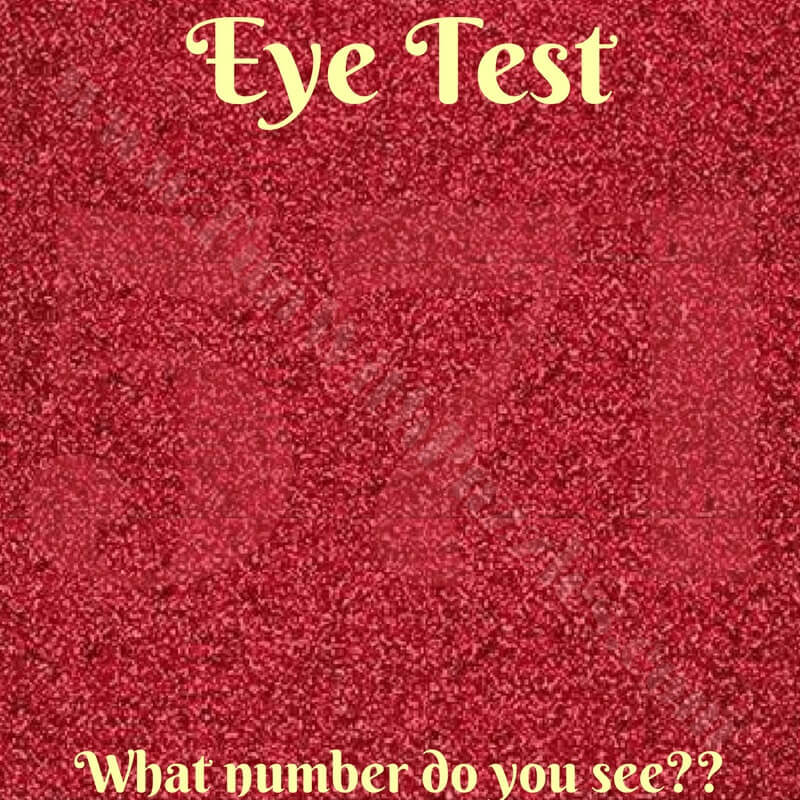 Reading Picture Brain Teasers test your observational skills and visual perception. 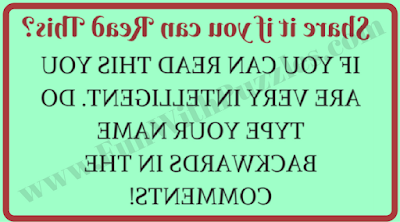 Next part of these reading puzzles is continued at the post "Fun Reading Brain Teasers with Answers". Below is the list of Picture Puzzles which will further test your visual skills. Hidden Faces Picture Puzzles : These are very interesting and challenging picture puzzles in which your task is find the hidden faces in the given picture puzzle images. Puzzles Game Brain Teasers for Improving Observation Skills : If your observational skills are good, then you should definitely try out these Puzzles games in which your challenge is to find the hidden animals in the given pictures. Picture Puzzles to find the number of triangles in the given figures : After finding the hidden objects in the Picture Puzzles, its now time to find the number of triangles in the given figures. Brain Challenges for Teens: At last try out brain challenges which is mix of Mathematical, Logical and Picture Brain Teasers. Here is answer to 18th Brain Teaser Question of post titled "Out of Box Thinking Fun Brain Teasers with answers to Challenge your Mind ". I have hidden this answer to avoid any spoiler. Do select the text below to read the answer. Once in a year: A year is 12 months, and there is one odd number in 12 which is 1. Four times in a week: 7 days in a week, and if you were to label the days of the week by number, then there would be 4 odd days 6 times in a day: Consider daytime to be 12 hours, and half or 6 of the hours of the day would be odd 1, 3, 5, 7, 9, 11 i.e. six numbers. It is an "ecrypted" question. PS: This site was fun...and strangely relaxing! Tnhaks for liknig our pezluzs and wseitbe. 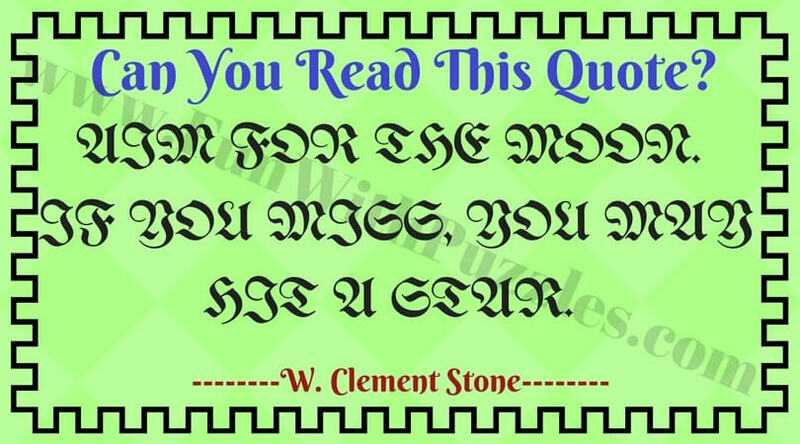 well this was interesting....Only really had trouble with one and it was the W.Clement Stone Quote. Only one I had trouble with was the last one, this was really fun too! Nice to know that you liked this reading challenges.